If you’re a British Gas customer, it could be time to start juggling your household budget as the energy giant has announced it’ll be increasing electricity prices by 12.5% from September 15. 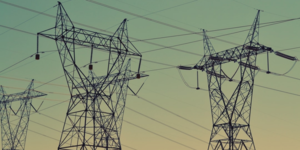 Why are electricity prices on the up? The price hike is expected to hit around 3.1 million households, and although gas prices will remain unchanged, the average dual-fuel bill for a typical household on a standard tariff will still rise by £76 to £1,120 a year - up by 7.3%. Centrica, the parent company of British Gas, has put the price rise down to transmission and distribution costs, as well as the cost of government policy – so much for those energy price caps – and is keen to point out this is its first increase in almost four years. Centrica has made assurances that its most vulnerable customers will be protected from the price rise, and that British Gas will credit £76 to more than 200,000 people on government’s Warm Home Discount scheme. Will your energy supplier be putting prices up? If you’re on EDF Energy’s standard variable plan, you’ll have been paying more for your energy since June 21 as gas prices rose by 5.5%, electricity by 9%, and dual fuel by 7.2%. Since April 26, E.ON customers have been paying 9% more for fuel, as gas prices rose by 4%, and electricity prices by a staggering 14%. Npower customers were hit with the biggest round of price hikes, the 9.8% increase effective from March 16 saw gas customers paying 4.8% more, while electricity customers were hit with an eye-watering 15% increase. If you’re on an SSE standard variable tariff, you’ll have been hit with a price rise of 7% back on April 28, but while electricity went up by a jaw-dropping 14.9%, there was no increase in gas prices. It’s not just Big Six customers that have been hit in the pocket – suppliers including Ovo and Extra Energy have increased prices, and you can be sure that more will follow in due course. And that’s bad news for millions of households who might already be struggling to pay the bills, particularly as overall living costs are rising faster than wages, a situation that could see many fall into debt with their energy provider. If you’re in the red with your supplier, check out [How to deal with energy debt](https://www.ukpower.co.uk/gaselectricitynews/energydebt)_. The best way to protect against future price increase is to switch to a fixed rate deal – not only are they noticeably cheaper than standard variable tariffs, you can lock in the same rate for up to three years. Obviously, it’s a bit of a gamble, as prices could drop, but it’s one that is more than likely to pay off – this graph nicely outlines how the Big Six alone have raised energy prices in 2017. If you’re already on a fixed tariff, make sure you keep an eye on when your deal is due to expire and move to another fixed deal before it ends and you’re placed onto a standard tariff. If your existing deal has an early exit penalty fee, remember you won’t have to pay a penny if you switch during the 42 days up to the end-date of your fixed tariff.